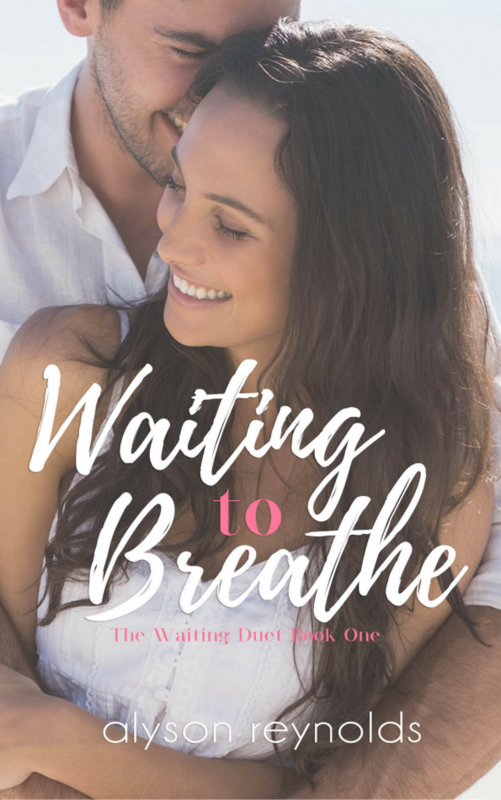 New Release: Waiting to Breathe by Alyson Reynolds! Olivia Crawford had been through the ringer. 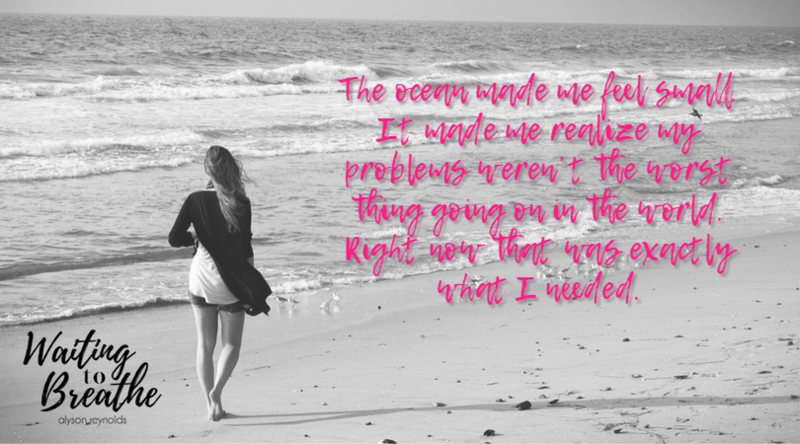 All she wants is to start over without any complications or anyone figuring out her secrets. When her twin brother Finn convinces her to move back home and finish her degree at his school, it’s just the push she needs to start over. Nathaniel Ford is the golden boy of SCU. He seems like he has it all, perfect family, awesome friends and fraternity brothers, and a few buildings on campus with his last name on them. But things aren’t always what they seem. 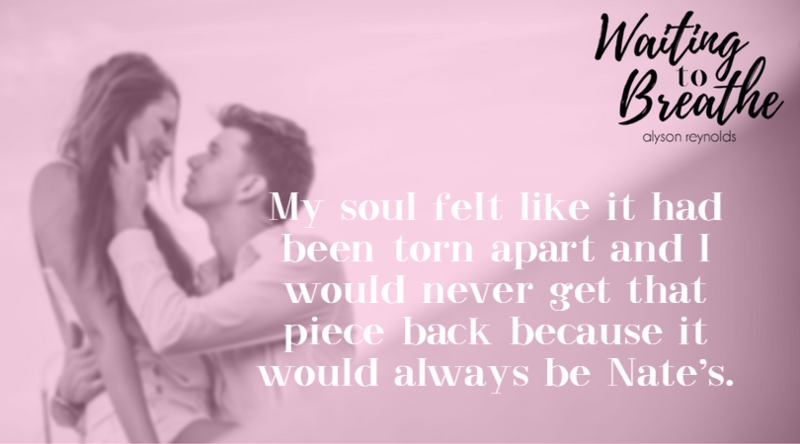 From the first time Nate and Olivia bump into each other, literally, he wants more of her feisty attitude, but Olivia throws more walls up with each step he takes closer, and he isn’t sure he can break them down fast enough.